The two-man front line, DJ/producer Armin van Buuren and producer Benno de Goeij (Rank1), have been recording and producing together since the ‘90s. After producing numerous albums and a variety of singles for Armin, it was time to form a new group/alter ego called GAIA that aims to captivate the synthesis between the old and new and transcend genres. GAIA aims to be known for creating dance music that transcends genres and won't shy away from experimenting with sounds from the underground of dance. Their forthcoming exclusive live performance at Amsterdam Dance Event (ADE) will showcase the blend of their greatest hits like ‘Tuvan’ and ‘Crossfire’ with unreleased tracks and visuals. 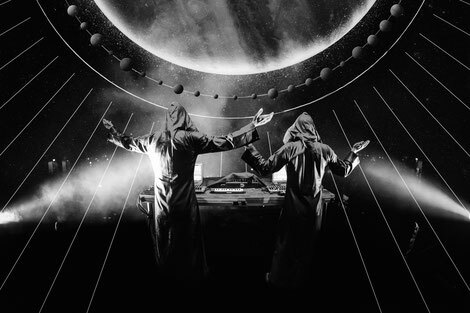 Running from the introductory ‘4 Elements’ in 2000 to the reincarnation in 2009 with ‘Tuvan’ and all other tracks since, the back catalogue of the duo is well known. They will both return to the stage to perform an exclusive live set during the ADE. The show takes place on the Wednesday night at the Paradiso and is an opportunity for clubbers to see them perform live again.